Eclectic Verve is a band from Lakewood, Colorado consisting of singer/songwriter/guitarist Kent Lehman and vocalist Cindy Musil. The husband and wife duo released their debut album Something on the Way June 11, 2011. The couple released their second album I Wanna, Iguana! July 11, 2015. Creating the band Eclectic Verve was not a journey the couple intentionally planned but rather the pursuance of a presented opportunity. After Kent wrote eight songs in three months in the fall of 2010, the couple felt they needed to share this music with a broader audience. 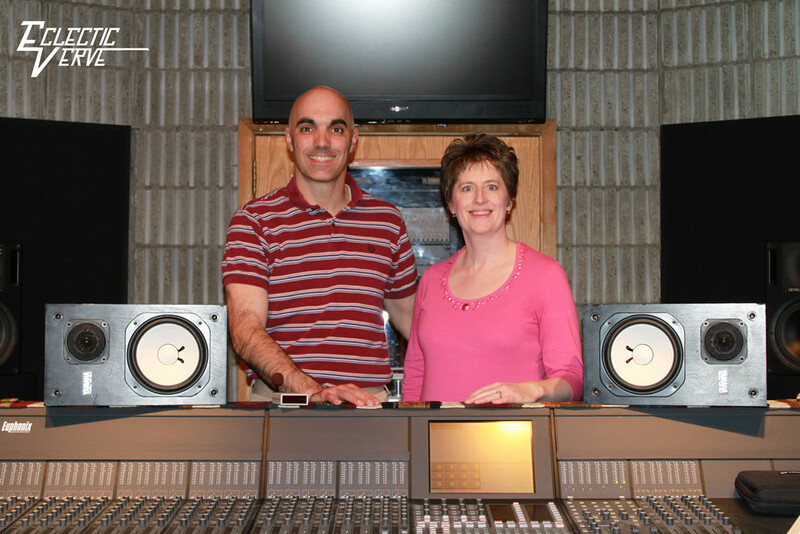 Kent and Cindy decided to embark upon a project to record a CD. As a result of this desire, Eclectic Verve, LLC, the band Eclectic Verve, and the publishing company Something on the Way Publishing were created. e•clec•tic (ǐ-klĕk´tĭk) adj. 1. Choosing what appears to be the best from diverse sources, systems or styles. verve (vûrv) n. 1. Energy and enthusiasm in the expression of ideas. Kent’s songwriting is influenced by the music and musicians from his childhood to the present. He has always been drawn to a variety of different musical styles and genres, although he is most comfortable incorporating a classic rock sound in all of his songs. Eclectic Verve’s first album Something on the Way was in many respects an homage to Kent’s past. I Wanna, Iguana! is a collection of children’s songs that are fun for children to sing and enjoyable for parents to listen. In the couple’s second album, you will still hear a strong classic rock influence in the music, but the arrangements are stripped down to more of a roots rock feel, and the lyrics are geared to a much younger audience.